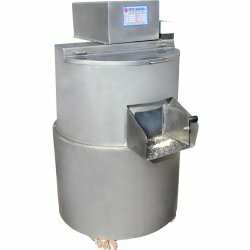 Before the sesame is processed, it is kept in the sesame container so that it can be separated more easily from the peels. This is also called wetting container. 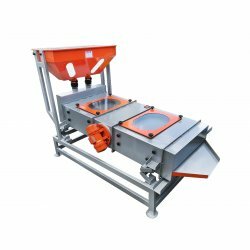 Immediately afterwards, the peels are separated in the peel-stripping machine, which is also referred to as the peel-separating machine. Following the procedures applied here, salt water is taken into the pool in order to clarify the granules of sesame and the outer peels. 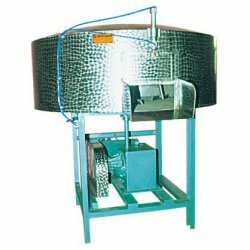 With this sort of process, the sesame seeds slowly rise up in the container filled with salt water, and afterwards the peels start to descend, that is, precipitate to the bottom. As the peeled sesame seeds are waiting in salt water, they are sent to the washing container in order to purify their salt by washing and washing is done there. 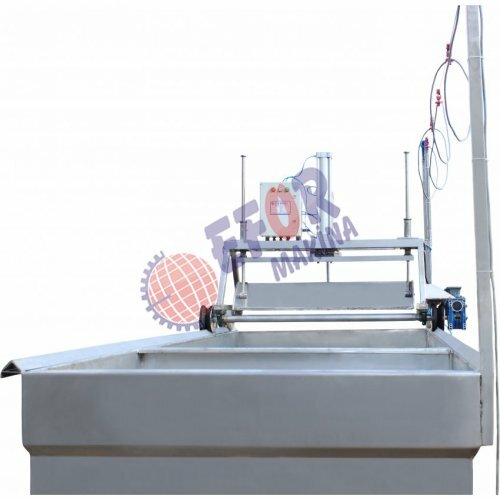 The quantitative aspects of the Sesame pond, the surface of the container that comes in contact with sesame, is made entirely of stainless steel, and these sesame containers can be sized according to the area of each operator. 3mm thick 304 quality chrome - nickel. Base frame made with 8 cm U-iron. To increase the resistance of pools two row line on walls .